(Photo Courtesy/Roberta Hall) Roberta snapped this picture of a robin in her backyard. Today’s ‘Photo of the Day’ was taken by Roberta Hall. 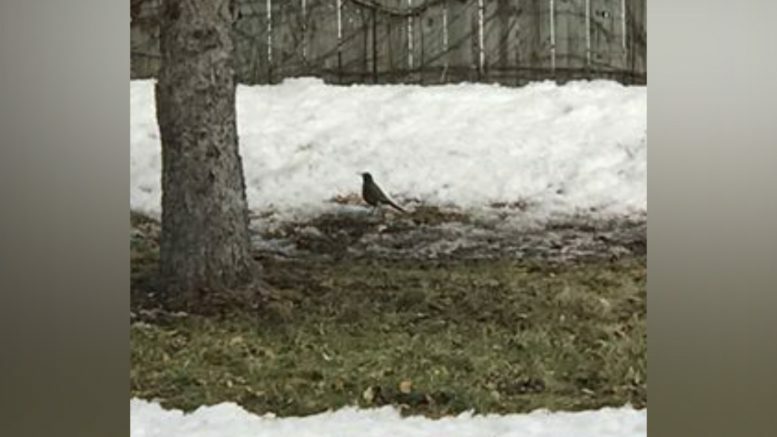 Roberta said she saw three robins in her backyard today. She added that spring is here! If you have a photo you would like to send us, email news@wbkb11.com.